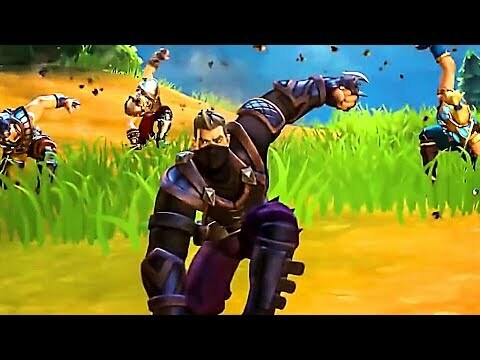 Realm Royale Game is a Free-to-play, Battle Royale adventure developed and published by Hi-Rez Studios. Choose a class, then loot deadly weapons and powerful abilities to create your own Champion. Explore a fantasy world from horseback, and craft game-changing legendary gear. Realm Royale (RR) is an amazing F2P, Muli-player Action game where players will Explore a fantasy world, the new Battle Royale sensation. Choose your class, then loot fantastic weapons and magical abilities to create your own Champion. Stay ahead of the deadly fog by mounting up and moving out. Choose from one of five classes before every match, each with its own game-changing abilities. Become a Warrior, chug a shielding potion, and leap into battle. Soar through the skies as a Mage, slinging fireballs. Take steady aim as a bow-wielding Hunter. Deploy turrets and shields as an Engineer. Or blink onto a rooftop and snipe your enemies as an Assassin. Call your friends: It’s time to squad up. RR is the first Battle Royale designed to be played in four-person Squads. Help your team by dropping a Healing Totem, or plant a Sensor Drone to reveal incoming enemies. Each class has strengths and weaknesses, but by working together the crown royale could be yours. ©2017-2019 BEINGAMES.COM – ALL RIGHTS RESERVED.